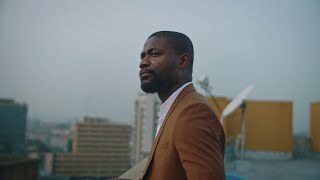 The talent, energy, creativity and global appeal of Nigerian and African artistes is being celebrated by Emirates in its new pan-African brand advertising campaign. The world's fastest growing airline is taking the message of ‘New Africa’ to the world. The campaign video highlights the achievements of Nigerian born Abiola Oke and amplifies the energy and rich potentials of Africa. The campaign also features an original song with energy-filled music and inspiring lyrics that reflects the beats of contemporary African electronic club music. Produced by Blinky Bill, the song has popular sounds and rhythms that are currently dominating the radio, blasting out of taxicabs and on the dance floors across the continent. Music is a unifying language not just across Africa, but around the world. The song does away with cultural clichés and instead celebrates the vibrant energy of contemporary Africa. Abiola Oke left New York and a career on Wall Street at the age of 31 to return to his hometown Lagos, Nigeria, as the CEO and Publisher of OkayAfrica – a digital media platform. His business is dedicated to African music, film, culture and entertainment. Atiku remains adamant on decision to privatise NNPC if elected president.